‘Horrified’ researchers have witnessed the moment a male orca drowned a baby killer whale so it could mate with its mother. 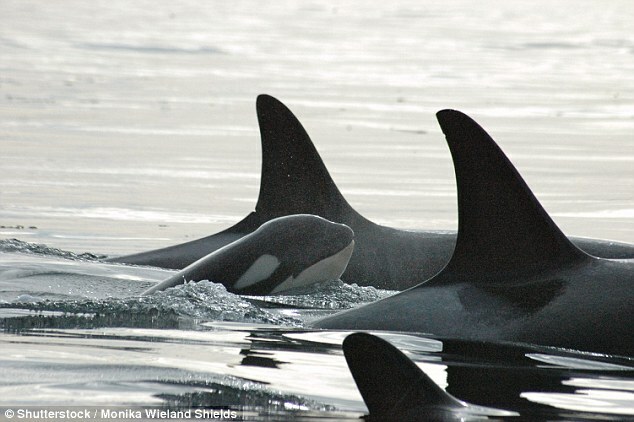 An adult male orca, 36, and his 46-year-old mother swam up to a 28-year-old female orca, who was carrying her infant male calf and two daughters off the coast of the Vancouver Island, and the former then attacked the child, National Geographic reported. With the infant between its teeth, the orca dove deep underwater in an attempt to drown it. When the 28-year-old orca tried to chase down the male, the latter’s mother tried to intervene. Sudden and erratic splashing broke out and rest of the killer whales began circling the area of the incident. “We saw some splashing and thought they were eating something,” Towers said. It was only when the adult male orca swam past the researchers’ boat, they discovered the killer whale still had the calf in its mouth. When the whale failed to surface with the newborn for quite some time, the scientists concluded it drowned. There was no evidence to suggest the adult male ate the newborn after killing it, which led the researchers to believe the infant was not preyed upon for food. In fact, they suspected the adult male wanted to mate with the infant’s mother and the infanticide “forces the infant’s mom into a fertile state much quicker,” Towers said. And he added the fact that the adult male was assisted by his mother in killing the infant was not surprising to the scientists as mother orcas are known to accompany their offspring, sharing their prey and fostering mating opportunities for them until the parent dies. “It makes sense because any offspring that he’s able to sire carries 25 percent of her genes. So the more breeding opportunities he has, the better off she is as a grandmother,” he said, the Guardian reported. Such behavior also suggested that while female orcas are picky when it comes to picking male orcas whom they want to mate with, “females don’t have a lot of choice when it comes to breeding,” Fox 17 reported. Infanticide has been documented in many species of mammals, but this was the first instance it was recorded in killer whales. “We’ve been looking at killer whales for years on this coast and around the world – I study populations in different parts of the world – and witnessing aggressive behavior between killer whales is almost unheard of,” Towers said.